Repost this message on your blogs, pass it around your e-mails, and copy it to as many forums you can think of, thanks. 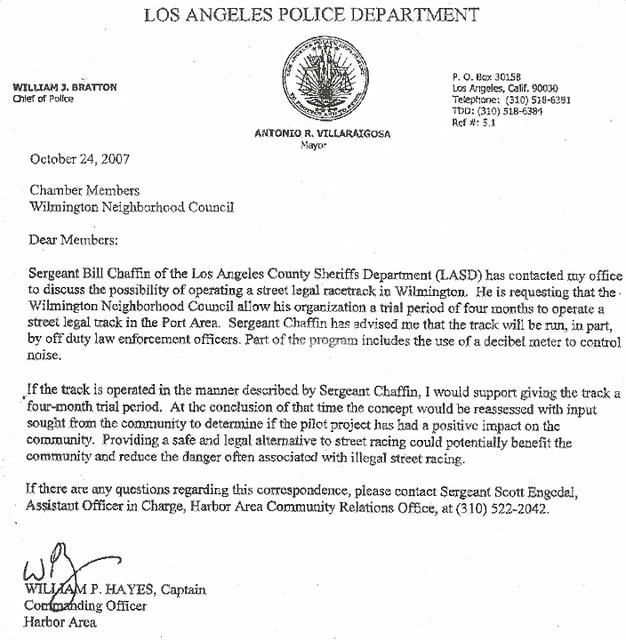 A few years ago we did an Internet assault on previous Mayor James K. Hahn, it was very successful. Today we are now doing it to Mayor Antonio R. Villaraigosa. 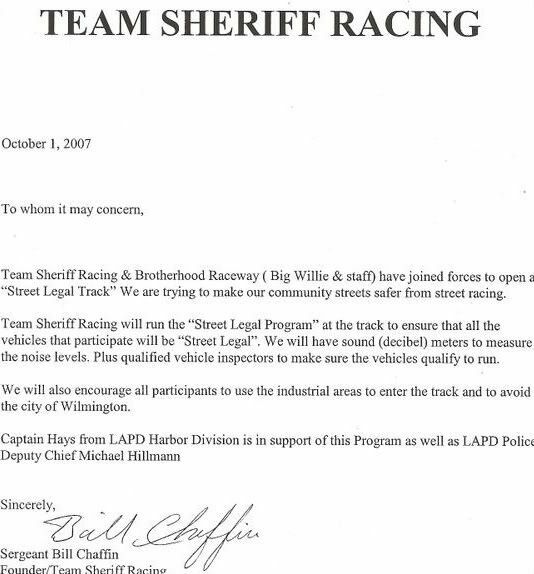 On Tuesday 9-17-08 we went to the neighborhood that was mostly affected by street racing. We ask them if they were tired of living in front of a drag strip? We told them every time they call the cops on us, why not call the mayor's office and tell him what they think, they can leave a message after hours. We told them their is a solution that has work in previous times and is not being used today. We left them a flyer with all the direct numbers to city hall. 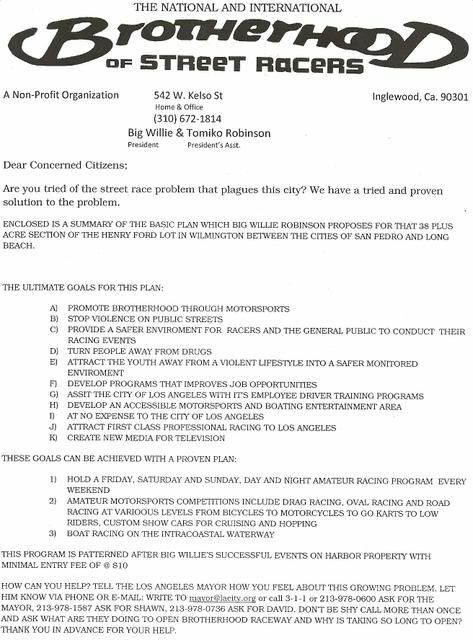 Well it worked, they called in and the mayors office responded by scheduling a meeting with Big Willie to discuss the tracks location. We are not done, we need everyone reading this to e-mail the Mayor and let him know people all over the Internet are watching what he is doing on resolving this problem. Please no threats or thrash talk as one of our members found out, it is takin seriously, you are talking to a public official. Thanks to everyone in advance. You can post a copy of your e-mail here if you want for all to see, thanks again for your support. You can email the Mayor�s office by writing to mayor@lacity.org and a constituent services representative will respond to your inquiry. For any questions related to services and programs offered by the City of Los Angeles, you can call 3-1-1 . Don't be shy call more than once and ask what are they doing to open Brotherhood Raceway and why it is taking so long to open.